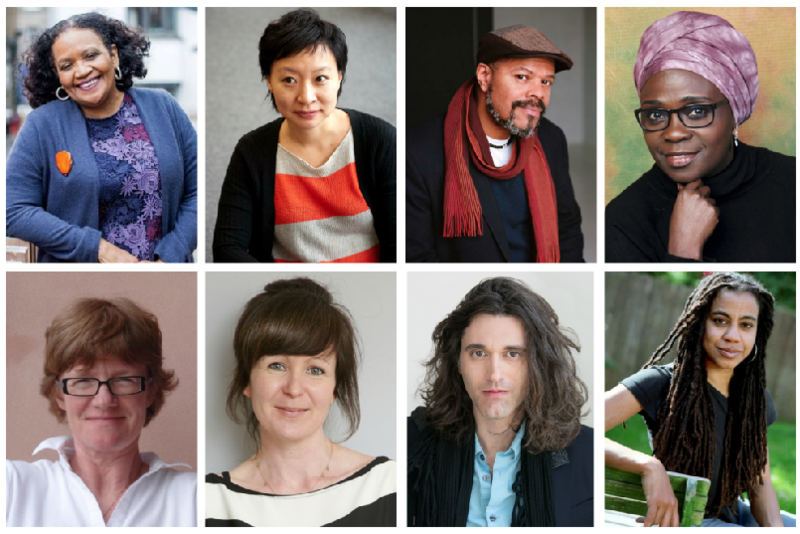 Yale University has announced the eight recipients of the 2018 Windham-Campbell Prizes. The winners, who will each receive $165,000 to honor their literary achievement or promise, are poets Lorna Goodison of Jamaica and Cathy Park Hong of the United States; fiction writers John Keene of the United States and Jennifer Nansubuga Makumbi of Uganda and the United Kingdom; nonfiction writers Sarah Bakewell and Olivia Laing, both of the United Kingdom; and playwrights Lucas Hnath and Suzan-Lori Parks, both of the United States. Established in 2013 by writer Donald Windham in memory of his partner, Sandy M. Campbell, the annual awards are administered by Yale’s Beinecke Rare Book & Manuscript Library and are given to English-language writers from any country to allow them to focus on their work without financial concerns. Fifty-one writers from fourteen countries have received the prize since its inception. The winners are nominated confidentially and judged anonymously. Previous winners include poets Carolyn Forché and Ali Cobby Eckermann, fiction writers C. E. Morgan and Teju Cole, and nonfiction writers Maya Jasanoff and Hilton Als. This year’s awards will be conferred at the Windham-Campbell Festival, held from September 12 to September 14 on the Yale University campus.